MoneyConnexion.com is my blog. I have started this blog 6 years back. I have made more than 1 million dollars through blogging. More than 1 million people read my blog monthly. This is my income from Google AdSense and it’s one of the many incomes from my blog. You can find more INCOME proofs from my blog at the end of the post. 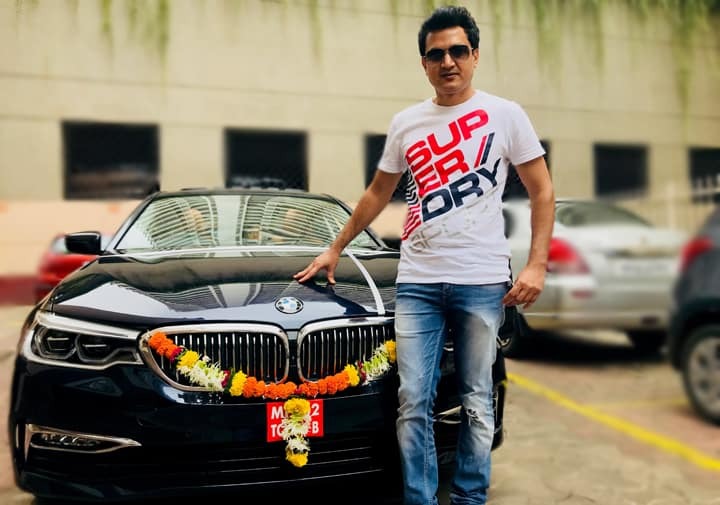 Recently I purchased one of most luxury car ‘BMW 520d Luxury Line‘. Its like dream come true. I purchased this car through my blogging income. 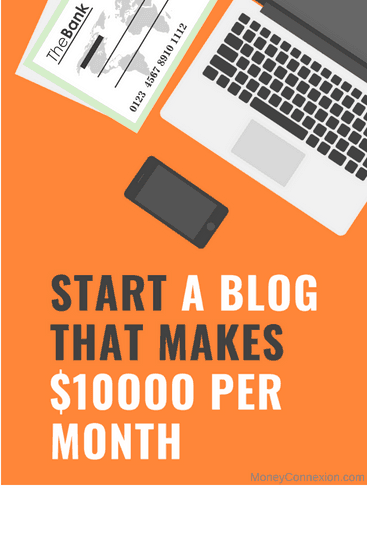 If this excites you and you want to start making money online, then starting a blog is one of the best advice from me. And if you are thinking that I am some super guy who knows everything about blogging, then you are absolutely wrong. I am a very average person who some years back can’t write even a single sentence. Even my English is not that good. I don’t have even any technical knowledge. My journey from making ‘Almost No Income’ in the first year of blogging to “More than 1 Million Dollar’ in the last 7 years gave me lots of experiences. And one of the best experience is “How can a normal person start a Blog and Make Money from this”. 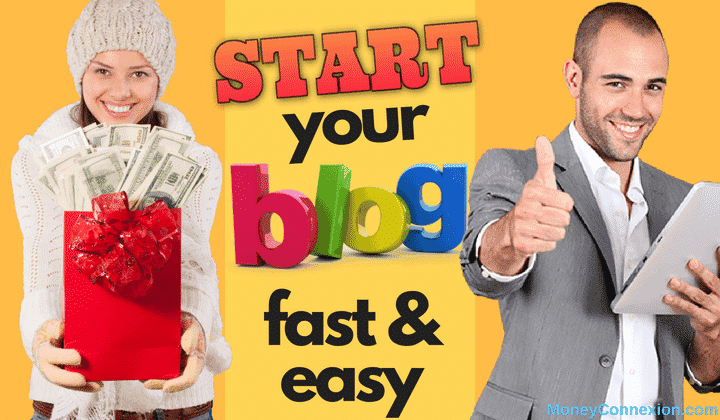 So today, I will show you how to start a blog in simple steps. However, before I tell you those easy steps, I want to clear some of your most common doubts. There are sites like Blogger, Wix, WordPress.com, and others that give you a free blog but a free blog has many limitations. Your clients, your advertisers and most importantly your readers don't take you seriously. These are the problems with a free blogging platform like Blogger, Wix and even WordPress.com, etc. Also, I know hundreds of bloggers who started from the free platform, when they wanted to shift from free to the paid platform (after they got some response), and how cumbersome it was to shift. There are a number of blogging platforms like WordPress, Blogger, TypePad, Wix, Joomla, Drupal etc. But WordPress.org is the most important blogging platform from the last few years because of many good reasons. 90% of all the blogs in the world including my blogs MoneyConnexion & SureJob uses WordPress. 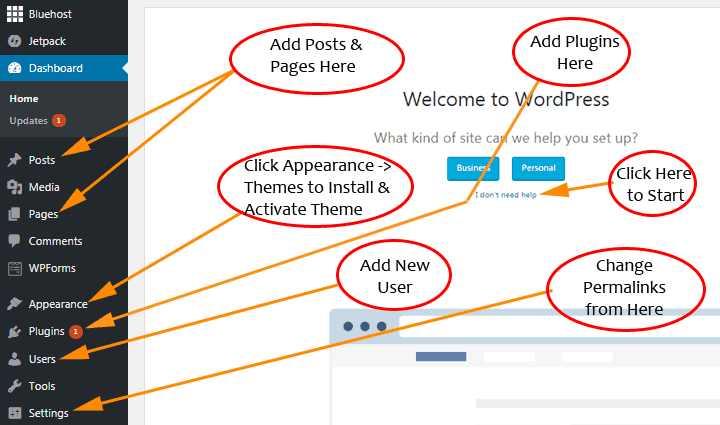 This itself is the reason to choose WordPress for your blog. Choose your domain name wisely. 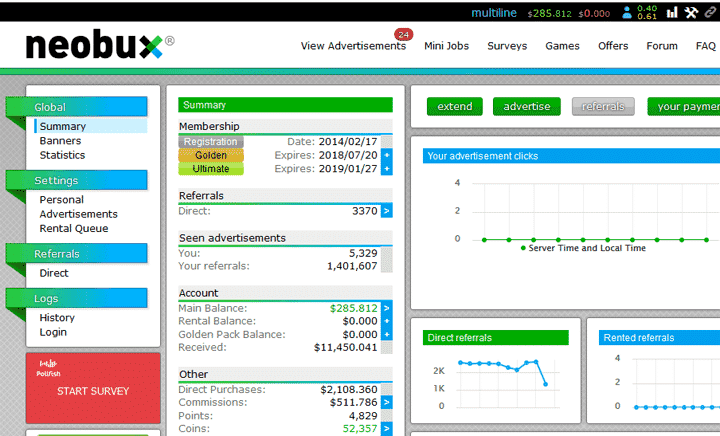 MoneyConnexion.com is the name of my domain and anyone can understand this blog is something about Money. My another blog is SureJob.in and it shows that SureJob is something related to jobs & career. Like email address, it's challenging to get a domain name of your choice, so you need to prepare a list and then check the availability. 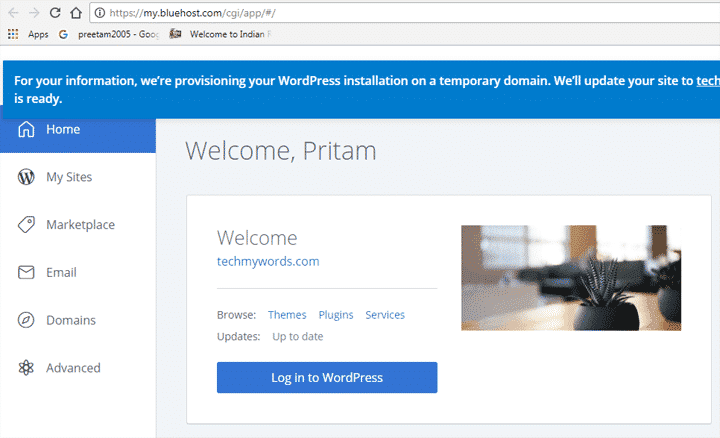 I have created hundreds of blogs in the last 8 years, and I have used & experienced almost all the web hosting providers. For example, I want to create a technology blog. 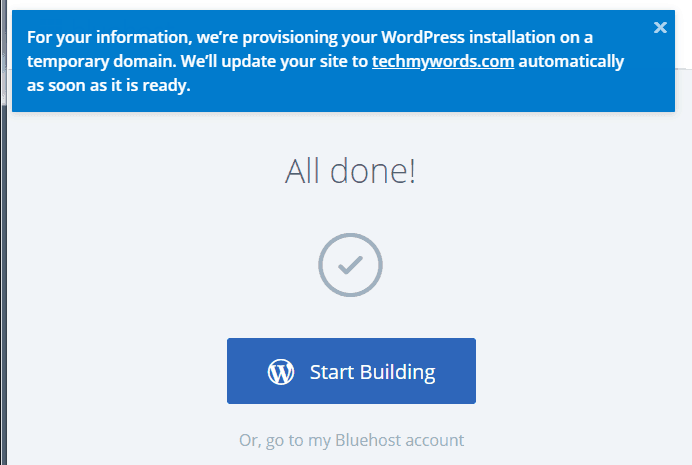 After so many trial, I finalize my domain name ‘TechMyWords.com’. 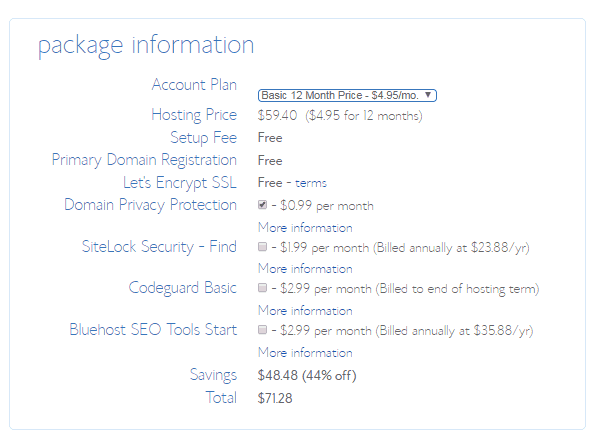 For few lucky people, Bluehost give the offer of $2.65 per month for a 36 months plan. Try to take your mouse pointer outside the browser and see if you get that offer. 2. 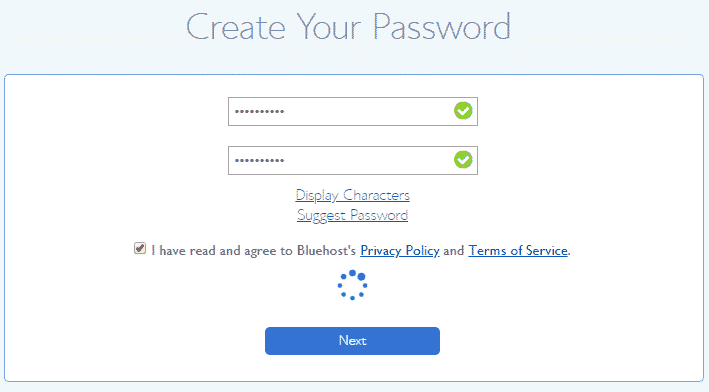 JetPack Plugin: Already installed by Bluehost. You click on JetPack plugin and then click on Setup button to setup this plugin. 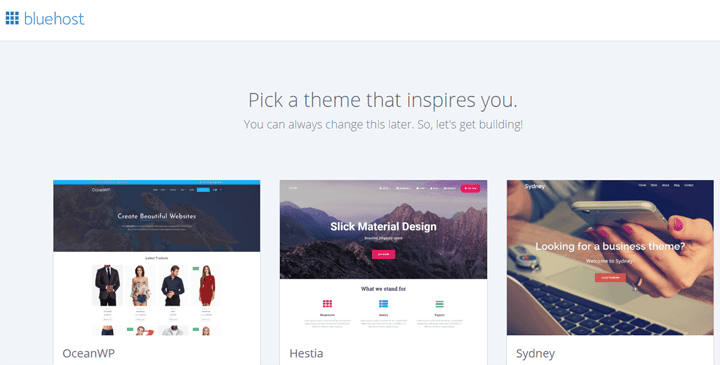 It's is a multipurpose plugin where you can add things like contact form, share buttons, site stats and many other things. Sign up with AdSense here (try only after you receive some traffic on your blog). Google displays ads on your blog similar to you see on this blog. When a visitor clicks on any ads, Google pays you. Don’t look for any other ways right now as you will get confused and focus more on making money rather than making your blog successful. Even after 7 years of blogging, I prefer AdSense and affiliate marketing to earn from my blogs. thanks for the information sir. really very nice artical. and congrats for earned more the i millions doller. Really Awesome Blog. I get lots of knowledge. Hi! Pritam Nagrale, Mene apka interview deha tha tryootech youtube channel par . sir me 3 years se blogging kara hun with adsense . 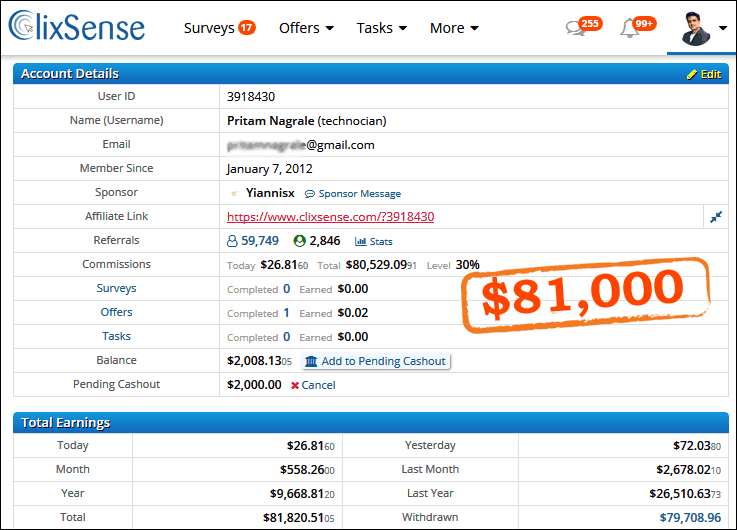 But this is my 9th adsense account how i can save my adsense account for long business purposes . please gives tips sir thank you . Excellent informations for the beginners.Highly appreciated.Allah Almighty may give you the greatest blessings of Hadiayat,acceptance of ISLAM. Very nice and updated information for bloggers. Really you are the Mile stone for the bloggers. Excellent and important information the you have shared above. I am S KHAN and a fresher at blogging. I am interested in writing on BEST ANDROID GAMES, because now a days everybody plays android games n they very addictive to games. I have created my website. Now i am publishing posts. if you have time please look into my site. I need you help sir. i want to learn SEO techniques. I am here after seeing your interview on Tryootech. You are really an inspiration for new bloggers. Sir My website is 7 month old and also recieving some traffic but my google adsense get disapprove again and again. What should I do? My blog name is Trendinwire.com. i would like you to help me out on creating a blog because i have tried it out but its failing me. @Pasco, what problem are you getting in creating your blog? Very good information for new bloggers. 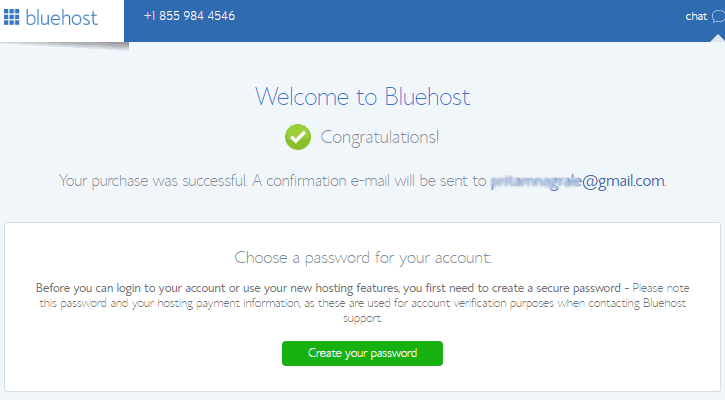 I have recently purchase a domain and Hosting from Hostgator for Blogging. Can you guide me how to get more traffic to my website and what kind of mistakes I am doing in my posts. I need your help and guidance. @Syed- What’s the URL of your blog? You can do SEO and promote on social sites to get traffic. Sir, I have started a blog in my daughter’s name madhurimablog.blogspot.com but after writing some articles i have stopped the reason is i tried to connect with Google Ad sense but failed ,i could not understand my fault.Plz help me. @Kittu – May be your are not approved from Google AdSense. You can apply for AdSense account and approved then place ads on your blog. @Prince – I will contact you on your given mobile number. and host it to my current hosting company. Is it possible to download blog template and run it to that hosting company? 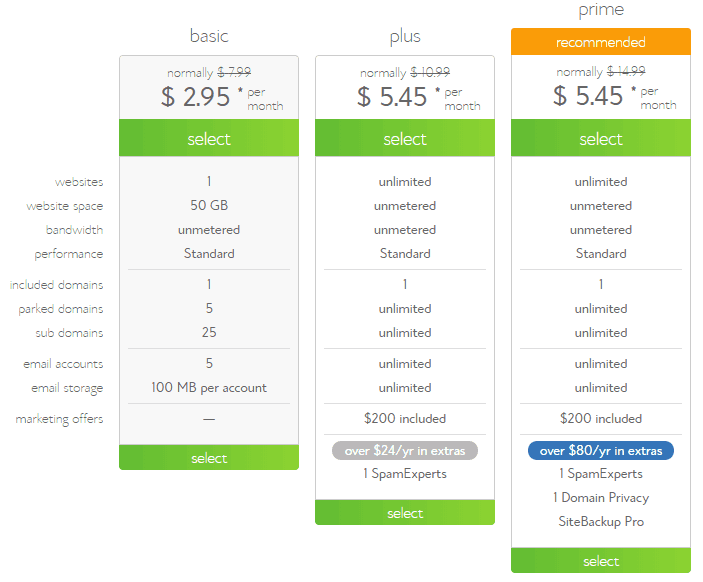 @James – you need to take the DB backup and then you can migrate your content and themes to another hosting company. thanku so much for infomation to blog…. Nice information I wish I can putting them in practice because I have trying to build my own blog for time now but I am finding it so difficult to do that. Thanks for the information. hi Daniel – There are no charges other than $75 for starting your blog. Send me your contact number so that I can guide you properly. I have really been encouraged by your words. I’ve been searching online for ways to make additional income and I think I just got one. Now, my question is, which topics are best for blogging? What is a real problem out there that needs to be solved? @Barro – One of the best topic is your hobby and passion because you will never get bored in writing about your favorite topic. Thank you so much for your leading information on blogging. I am Muhammad Nasir and a fresher at blogging. I am interested in writing on Ayurveda so that many benefit from it. Can you help/ guide me start my blog please? Also, monetary benefit is also important for me to support my family. @Muhammad – Send me your contact number, I will contact you & help you. Hi sir,i loved reading which is really helpful and i have strongly decided to create blog but still there are some questions wandering in my mind. 1)If i have chosen monthly basic plan then i need to update my blog monthly or not? 2)After 1 year if i had not paid money for few months then my blog will be closed or not? 3)How can i connect my blog with google adsense? @Bishal – 1. Its better to choose yearly plan. Website hosting will be suspended within 24 hours of non payment of monthly amount. 2. Same.3. 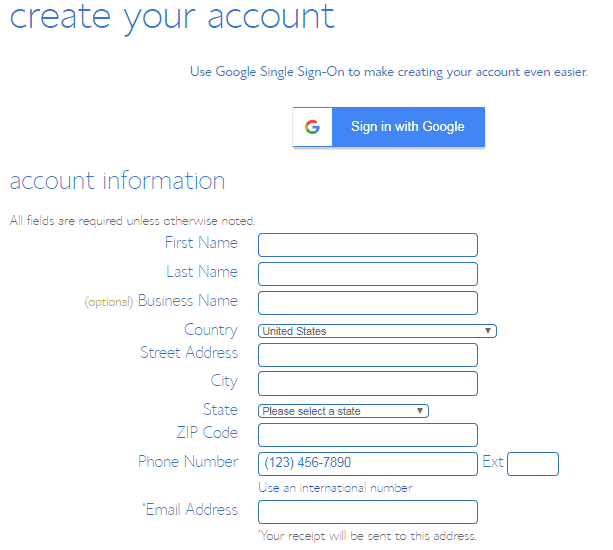 You can apply for Google AdSense account. You can connect with your blog after you get the approval. But I don’t have an internet connection (for a computer) nor a laptop to begin with. @Bernard – Yes, you can start your blog and make it successful. There is no better time than this to start your blog. I went through the training . Quite informative. Your assuring that our sites are safe Which is welcome sign. You have mentioned that it is better to give blog name as per the topics. It means I can have different domain name. 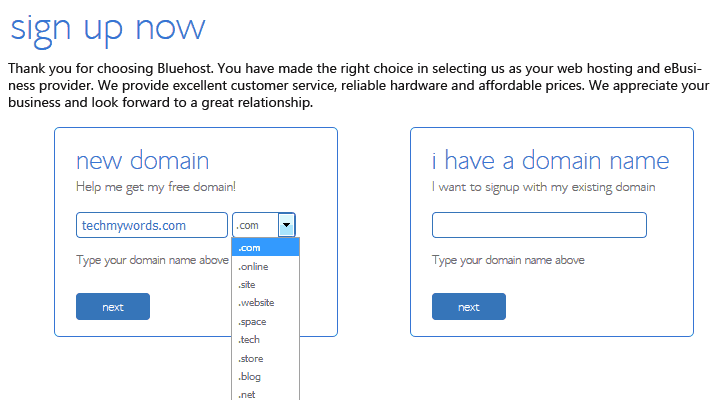 HAVE I TO PAY FOR EACH DOMAIN? @SHESHADRI – First domain is free. 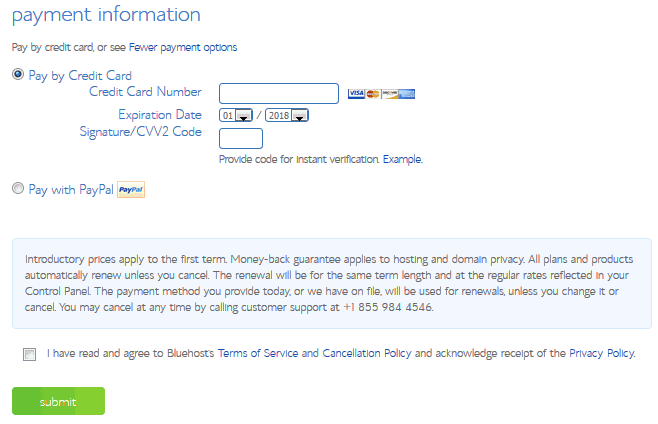 Each additional domain will cost $10. Really a concise and to the point guide to make a blog. Excellent and thank you Mr. Pritam. I am a new blogger. I just start a blog in google blogspot, I need help , how to grow my blog, my please. Thiis is very nice and informative. thanks a lot. i start a blog in google blogger, its obviously new, its a 3 month old.i get adsense approval on it, the traffic is very low, how i increase traffic on it.please suggest. @bampi – Start SEO for your blog. There are many other ways to promote this. I ve been doing research about blog making on your site 4 almost 5 months.now i wll create it..basic plan $2.95,can i pay it monthly or do i hv to pay annually. .my blog will b about arts and poem…will this b good for making money…. @Krishna- Pay yearly for once. Pls i want to start a blog on, health, e-books and news, and i have a good domain name,pls can u help me out?